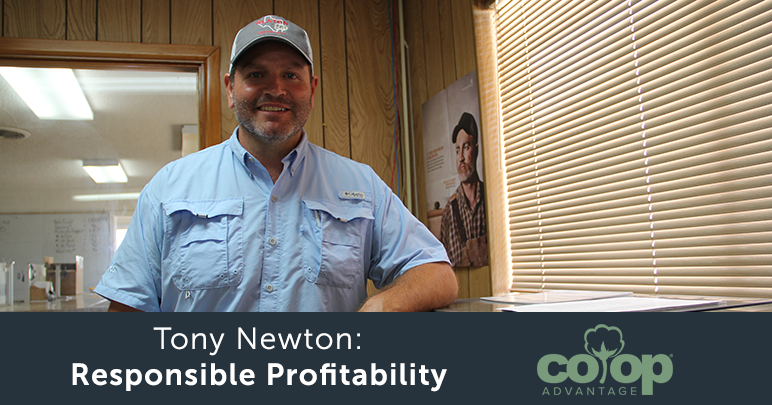 There is a common message The Co-op Advantage®️ illustrates through multiple blogs, videos and social media posts. Pure and simple: True co-ops work for you. From planting to harvest, ginning to warehousing, marketing and shipping – each of the four Co-op Advantage regional co-sponsors are working for all grower-owners along the supply chain. Final proof happens each fall as co-sponsors open their books to report year-end dividends and remind grower-owners of the benefits to investing in their future. Co-op Advantage regional co-sponsor Farmers Cooperative Compress, whose mission is to enhance member profitability by providing efficient, reliable service to the cotton industry, is no exception. Year-end dividends for the 2017-18 season have just been released, and the numbers speak for themselves. 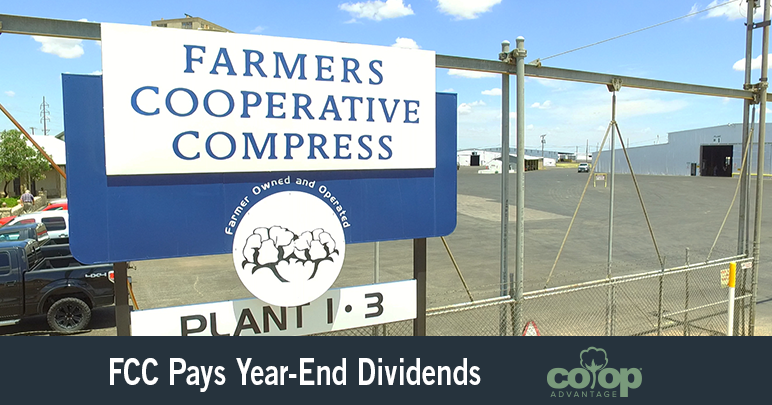 Total dividends paid by FCC to their more than 9,100 members topped more than $12.7 million, with more than 2.5 million bales received. Of those received, nearly 2.4 million bales were shipped, loading as many as 25,500 bales per day. “And we’re pleased to announce our stock retirement was more than $4.4 million for the season,” Harkey said. With 230 warehouses providing more than 12 million square-feet of space, FCC has a USDA-licensed capacity of more than 2.4 million bales. As a producer-controlled and governed organization, FCC serves members by responsibly storing and shipping cotton worldwide from its warehouses in Lubbock, Plainview, Levelland, Sudan and Stanton. With last season behind them and another profitable year despite a dry winter, Harkey said he hopes for – and predicts – a good season ahead. Whatever nature decides, FCC continues as the largest cotton warehousing entity in the world – always working for their grower-owners. “That’s what we’re here for,” Harkey said. And that is The Co-op Advantage.